Sanctions are imposed to maintain or secure international peace and security and, as such, are continuously developing within a complex landscape. It is vital that our Members are diligent in considering how sanctions may impact upon their operations. As part of our service to Members, we have dedicated points of contact within the Club with specialist sanctions knowledge and experience and are ready to provide information, guidance and advice to Members in regards to their insurance cover. As a starting point, when considering Club cover, Members’ attention is drawn in particular to Club Rules 32, 45, 46, and 47. We encourage Members to review the many articles and circulars the Club has distributed in regards to sanctions, all of which are available by clicking on a country of interest shown on the map below. The experience we have gained in advising our Members has been used to focus on the countries which tend to be of regular interest. Whilst we hope this information is helpful, as always it is for Members to carry out and rely upon their own due diligence. These should include at minimum checks on all parties involved in the trade/works and an examination of the cargo to be carried and/or services to be provided. We will develop this map further over the coming months and ask that Members please continue to look regularly for updates and additions. Select a country to view related sanctions. If you have any queries or questions relating to sanctions, please contact one of our team on the details below. After qualifying as a solicitor in 1998, Britt worked for a large City firm specialising in insurance litigation and yacht/pleasure craft claims. Britt then spent over two years with another P&I club dealing with Legal Assistance & Defence (FD&D) and cargo claims for Members in the Far East before joining the Shipowners’ Club in 2003. 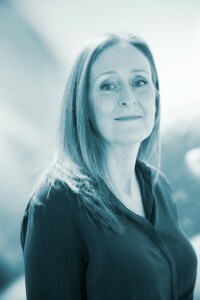 In 2012, Britt became Claims and Legal Director of the Shipowners’ Club, with overall responsibility for claims and legal services across all branches. 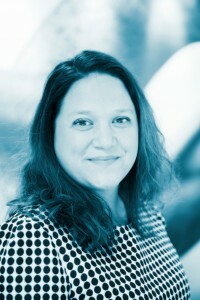 Having qualified as a solicitor in 2001, Camilla worked for a number of years at a prominent international law firm where she specialised in a range of shipping litigation matters. Camilla joined the Club in 2007 as a Claims Handler, managing a wide variety of P&I and Legal Costs Cover (FDD) claims before becoming Claims Manager of the Offshore syndicate in 2013. In 2016, Camilla took on a new role as Head of Legal with responsibility for legal services across all branches.